Teaching Blog Round Up: Happy Teacher Appreciation Week Freebies! I'm Brian Hopkins from Hopkins' Hoppin' Happpenings. I was so excited to get an e-mail from Teresa asking if I'd like to contribute to this monthly blog. I will be sharing a fun post on the 8th of each month so I hope you will hop on back over here to check out what I have to say and the many others! I blog everything Elementary School Pre-K through 6th! 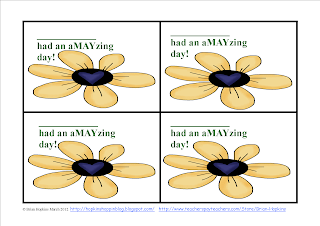 I thought I would share a few of my favorite Math freebies and behavior notes that I have made in the past year so you can end your year with some fun for your incredible students! My first freebie is a fun center for grades K-2. 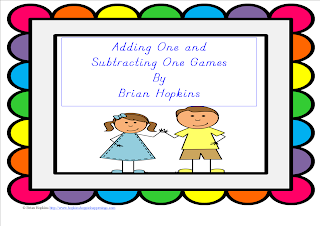 There are two free games in this packet called Adding One and Subtracting One Games. In Adding One more, students roll two dice and then add 1 to it. They cover the number. If the next player rolls the same number they can bump that player off. Should a player get the number twice, they can add a 2nd counter of their own and they have now frozen their space! Bump games are some of the favorites among students. The subtracting one less game, students pick a card and subtract one from it. They then cover the space on the game board. The first player to get 4 in a row is the winner! I also made a Free bump game for older students. 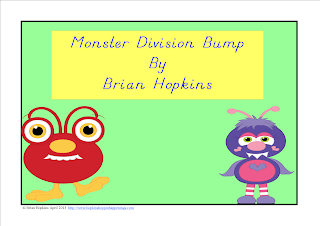 This game is Monster Division Bump. The rules are the same as the adding game above, but it is for Division and uses cards. I added extra blank cards if you want to make up more problems. Click the picture to get it for free! Please don't forget to leave me some love in the comments and feedback. It truly means a lot to me and the more kind feedback I get the more freebies I'll post! 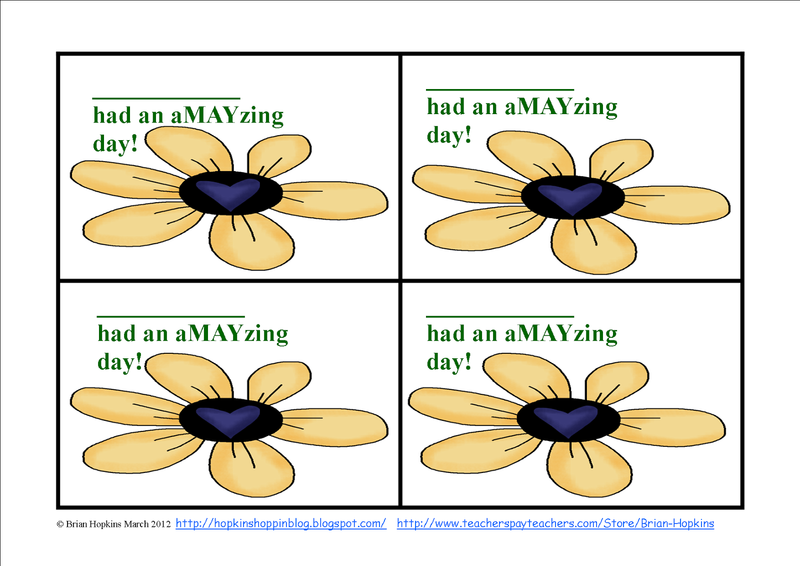 Finally, I would love to share with you my May Fun Behavior Notes for FREE. I have made these notes for every single month so you can head to my store and grab them all for FREE! One idea to use these May Positive Behavior Fun Notes is to pick a day ahead of time and write your students' names and date them. Then at the end of the year any child who had a good day, gets to take a fun behavior note home. It keeps them on their toes as they never know what day in the month you will pick. If they didn't have a good day, they lose out on the note. I used to do this the old handwritten way and the children loved them and tried to behave every day because they wanted to take a good note home! I've also tried these a little bit while subbing and they are a big hit! Click the picture to get them for free and please leave me some love! 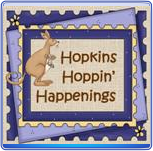 If you like this post, check out my other freebies in my store and also all of the fun on my blog, Hopkins' Hoppin' Happenings.